Verified a grizzly bear killed sheep on a private ranch on the Wood River southwest of Meeteetse. obtained pet food from an out-building. 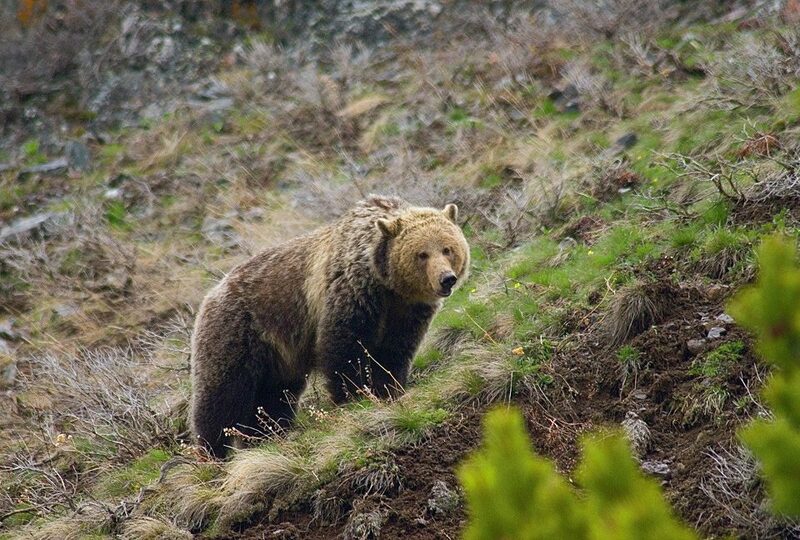 4/19/2012 Adult Male Grizzly bear relocated into Coal Creek drainage of the Flathead County. The bear was trapped for livestock conflicts. of the Shoshone River west of Cody. This bear had been around a residence for several days. calves for over a week. This bear was moved to prevent livestock damage. A 3 Year Old Female Grizzly was put down in the Driggs, Idaho area. The bear was a repeat offender that was originally relocated form the North Fork of the Shoshone River area near Cody, WY. Last year the bear was in apple orchards, this time the bear was frequenting garbage cans on the Wyoming/Idaho border. A large part of problem was residents did not follow food storage ordinances put in place in Teton County to prevent this. Non the less the bear was conditioned to human food and no matter where it was relocated it would have become another problem so officials put the bear down. 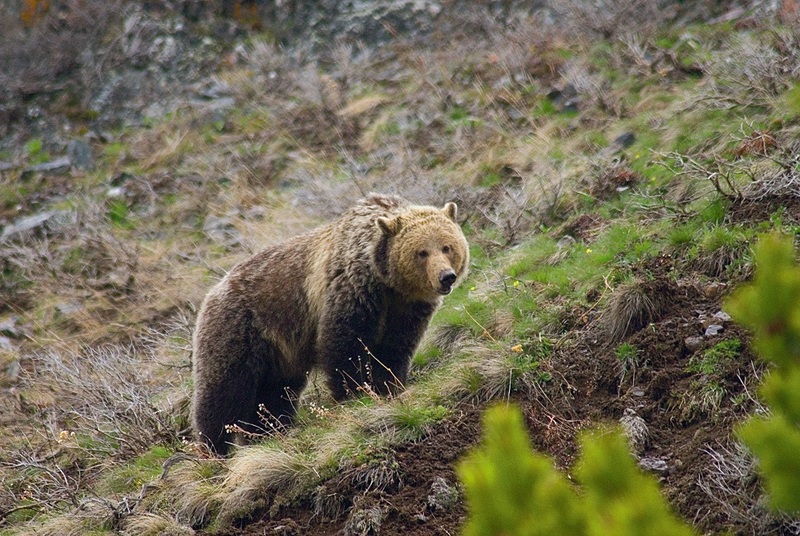 Captured and released 4/28/12 A sub adult male grizzly bear for livestock/Human conflict. Bear was relocated into Whale Creek Drainage of Flathead County. Confirmed a yearling heifer that was killed by a grizzly bear north of Cody. Began research trapping operations along the Absaroka Front between Thermopolis and Cody. 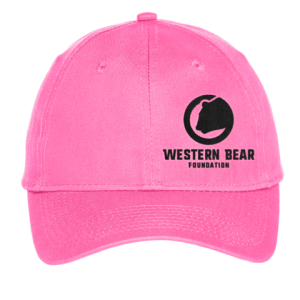 The purpose of the trapping is to radio collar a sample of bears to determine habitat use, survivorship, reproduction, causes of mortality, and movements. Captured and released 5/2/2012 Yearling Black Bear released in the Kootenai NF-Rock Creek area. Bear was trapped and relocated for human conflict. Captured and Released 5/3/2012 Orphaned male Black Bear in Wall Creek WMA of Madison County. Verified a heifer that was killed by a grizzly bear north of Jackson. Verified a grizzly killed steer calf west of Big Piney. VHF collar. Released on site. Documented a bear in the Willow Lake area near Pinedale. Documented a bear west of Big Piney. bear was relocated to an area northwest of Cody. and how it pertained to their decision for the future of the Clark Landfill. Repaired an electric fence system at a private in-holding in the Upper Green. bear had shown interest in. Absaroka Mountains southwest of Meeteetse. Both were collared for future monitoring. the annual Natural History Days in Sunlight Basin. Dusty Lasseter gave bear educational talk to 185 elementary kids at the Powell Armory. storage and avoiding bear/human conflicts in residential areas. Verified a grizzly bear injured calf north of Cody. The calf was euthanized due to the injuries. 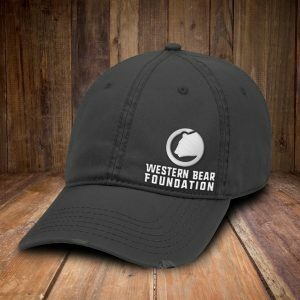 Verified grizzly bear killed calf west of Meeteetse. Verified grizzly bear killed calf north of Cody. Mountains southwest of Meeteetse. The sub-adult male was collared for future monitoring. Verified the presence of a grizzly bear below Elkhart Park, north of Pinedale, WY. Made several contacts with hunters, outfitters, and individuals recreating in the area to inform them of the recent activity. Presented a bear presentation to approximately 140 kindergartners and first graders. Presented a bear safety talk to 10 employees at Park County Weed and Pest. Presented four bear safety educational programs to Cody Middle School students. Verified one calf that was killed by a grizzly bear north of Dubois. tagged and four were radio collared for future monitoring. Documented a female grizzly with two yearlings in the Gros Ventre. Documented a female grizzly with three yearlings north of Cody. Documented a female grizzly with two cubs of the year west of Cody. Documented a female grizzly with one cub of the year west of Cody. Provided bear information and advice to a homeowner in the Upper Green River, north of Pinedale that had a grizzly bear frequenting their property. Gave an informational bear safety talk to Sublette County Visitor Center summer volunteers. for the National Outdoor Leadership School. Staffed an educational display at the Jackson Hole Antler Auction. Presented bear safety information to Teton County Weed & Pest employees. Staffed an educational display at the DANO Outdoor Expo in Cody. Gave a bear educational talk to about 50 2nd grade students at Sunset School in Cody. Presented bear educational programs to 6th grade students from the Cody Middle School.